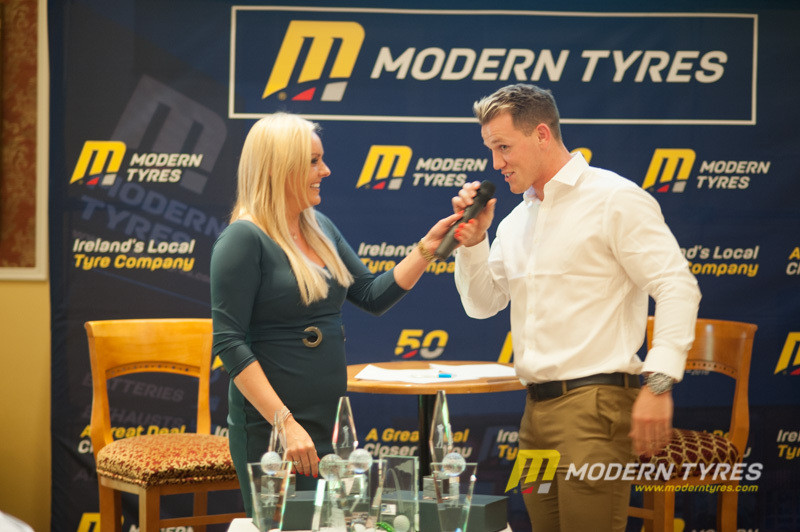 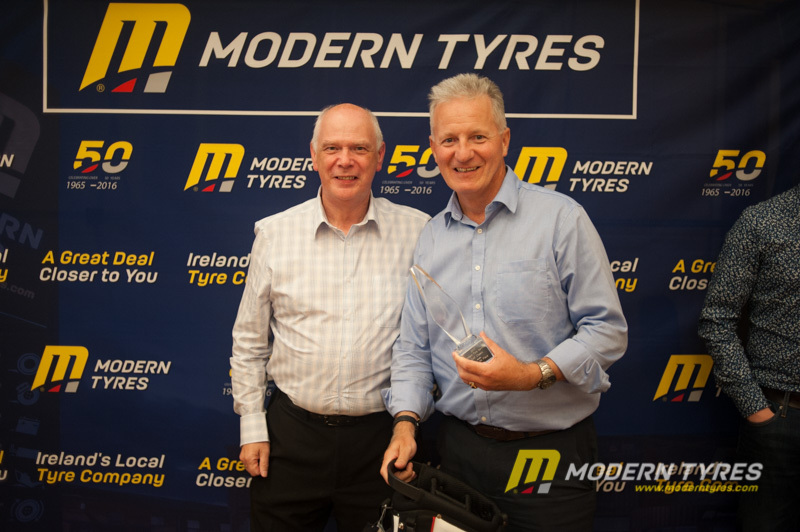 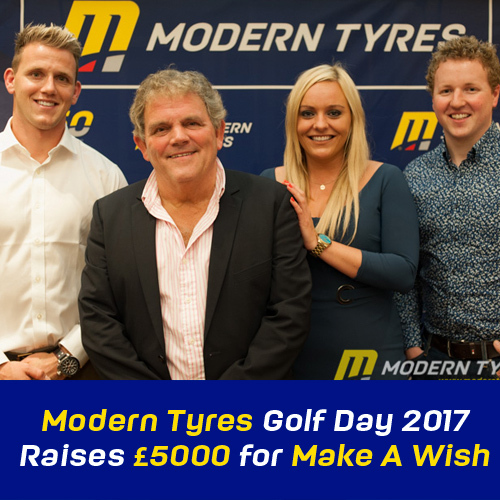 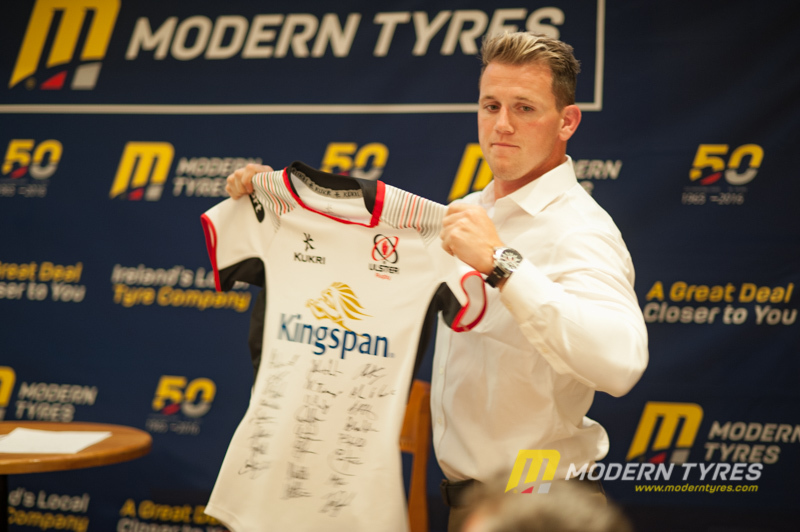 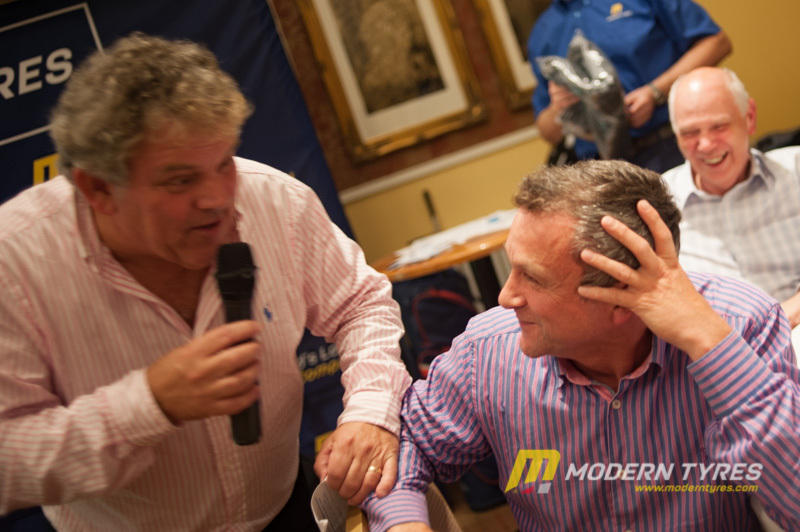 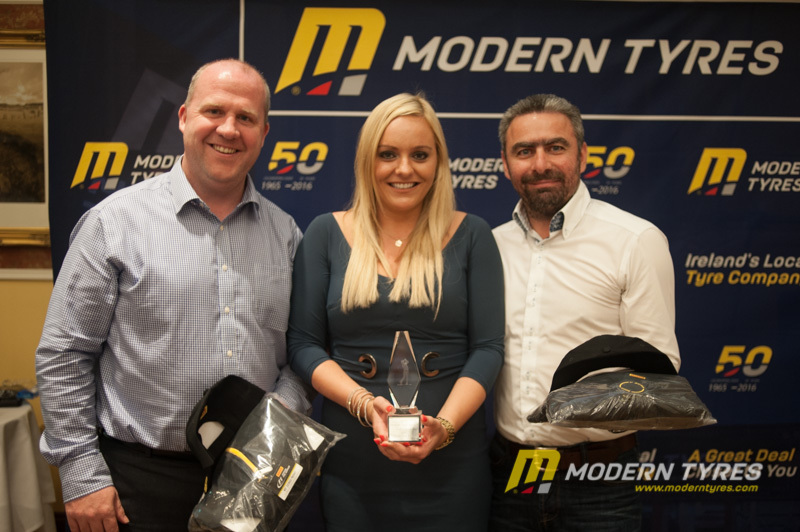 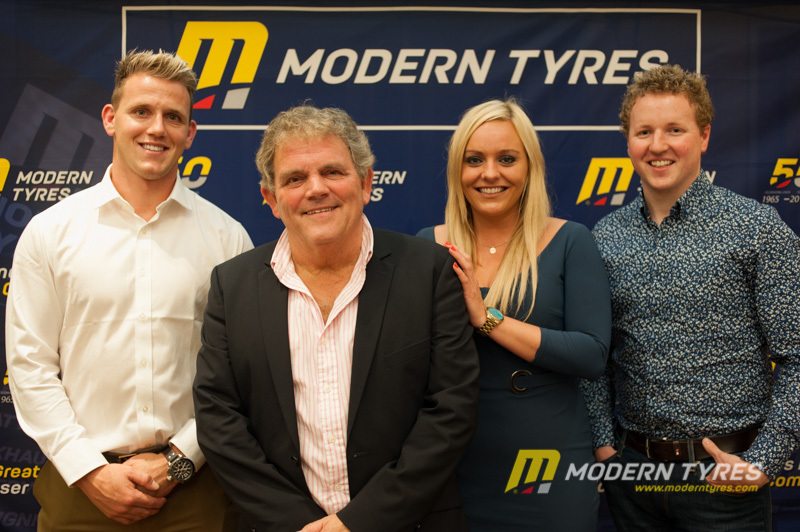 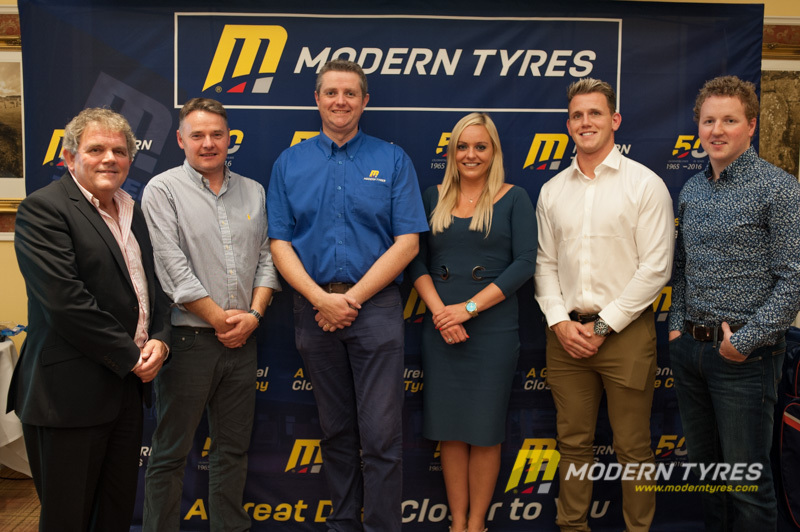 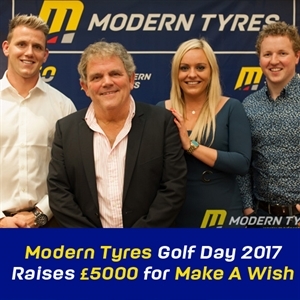 The Modern Tyres Golf Classic 2017 at the Lough Erne Golf Resort raised £5000 for the Make A Wish Foundation with the help of a star studded cast of hosts. 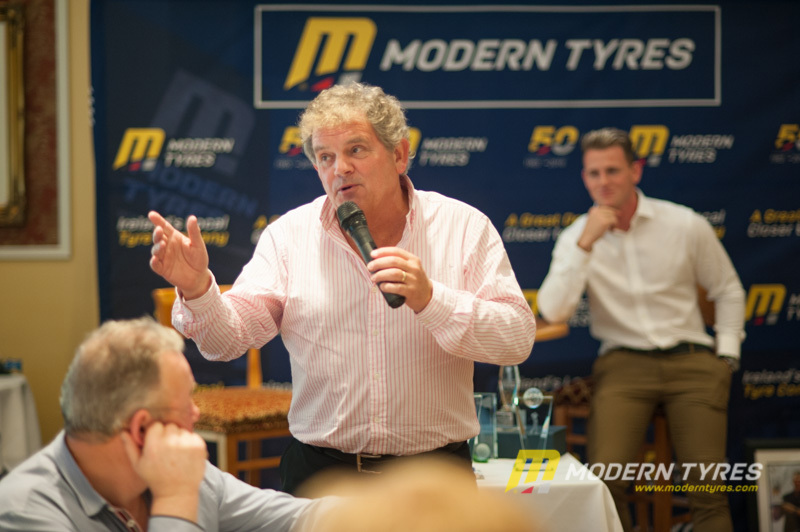 From the off, the weather loomed and threatened. 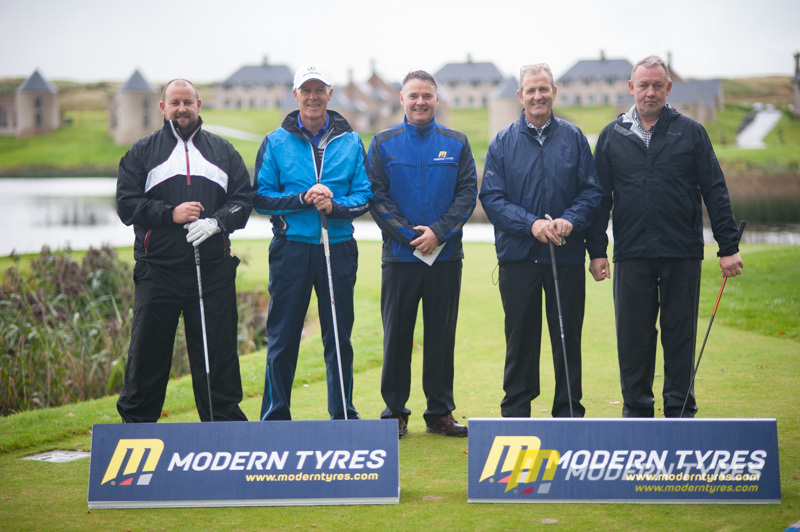 The heavy cloud cover, spells of rain and and brief, very sunny intervals gave some very mixed meteorological messages and the teams tee’d off in the hope of winning the Grand Prize - The Modern Cup. 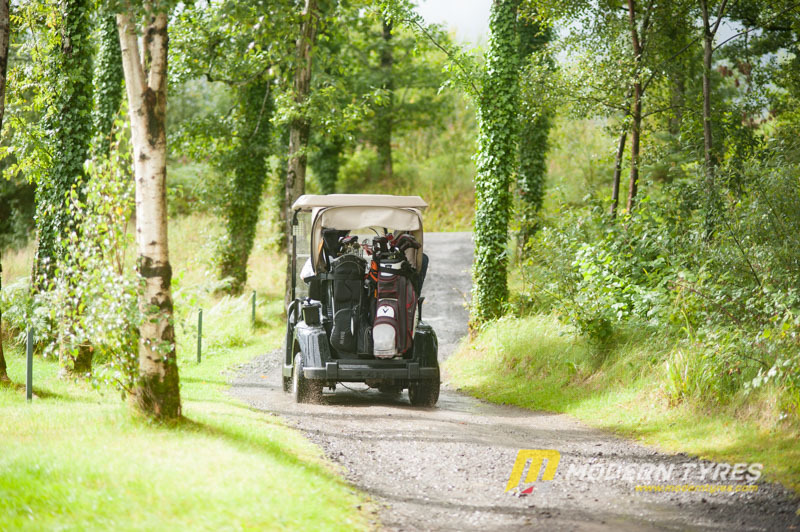 It wasn’t long until those hopes were dashed, Mother Nature had a different game in mind - and won. 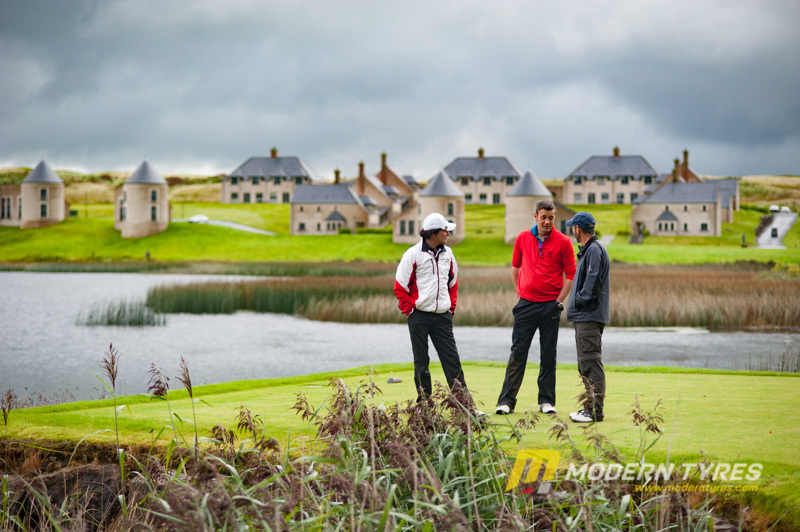 For the first time in the history of the Lough Erne Golf Resort, rain stopped play - at the 9th hole to be precise. 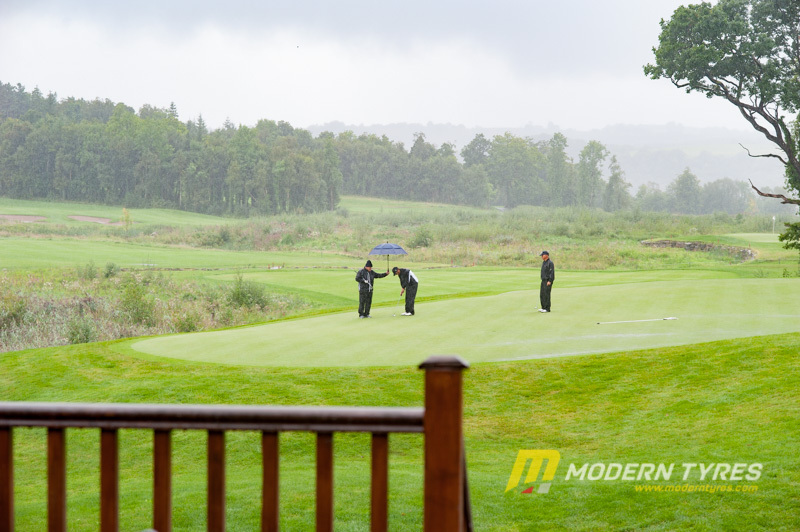 Commendably, all the teams and players battled the weather right until the call came for them to evacuate the course. 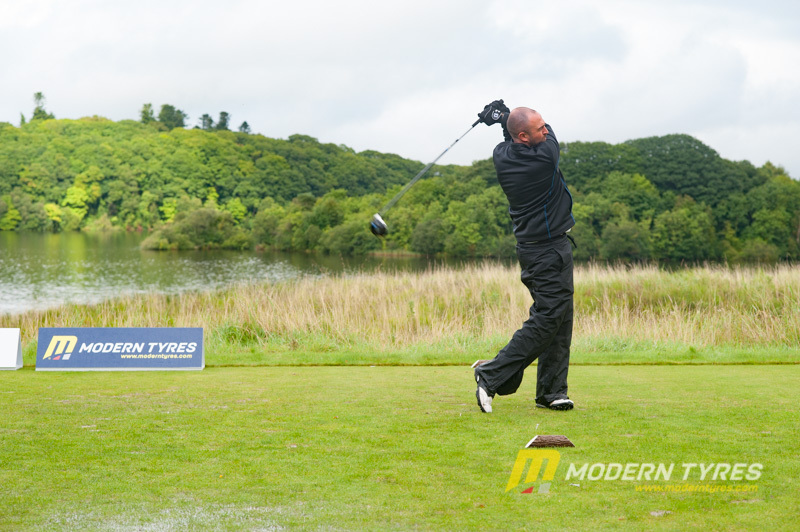 As all the teams had completed the 9th, scores and aggregates could be collected and turned into results. 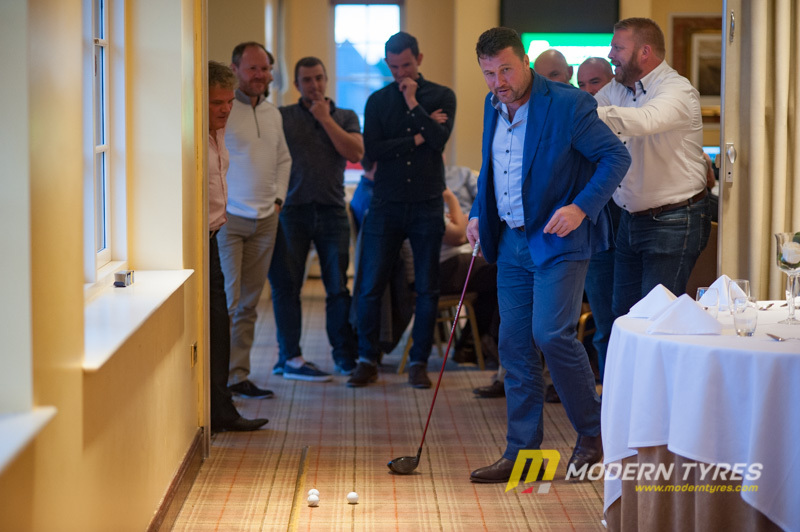 The longest Drive competition was the only other short that didn’t have an overall completed result so it was decided in the dining room with a club, ball and a pint glass. 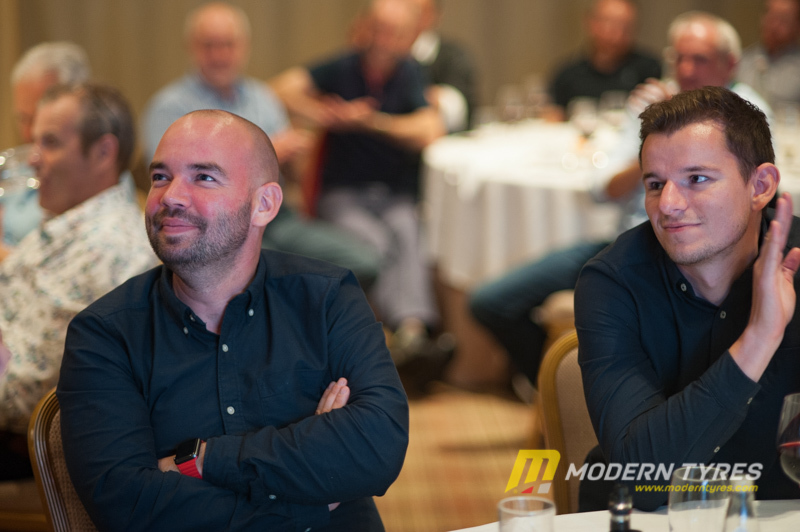 Since the competition was left incomplete, The Mercedes Truck and Van Team, winners of the 2016 Modern Cup, were able to retain the title for another year. 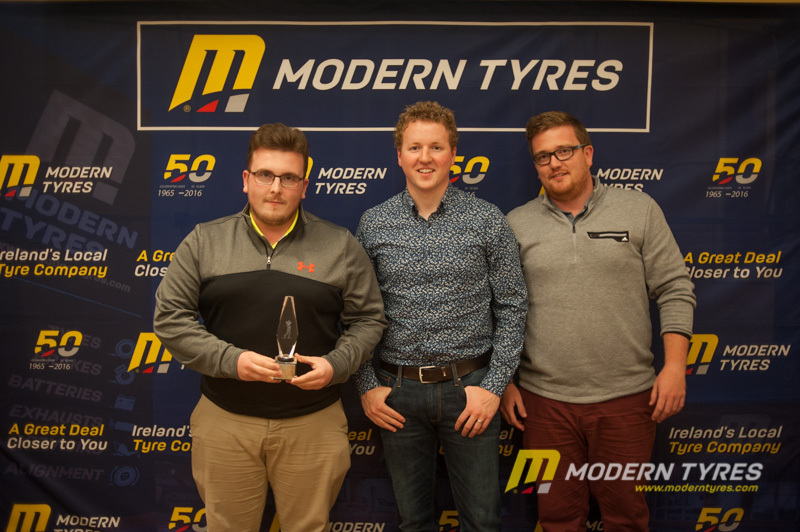 The real winners were in fact, the entire guest list. 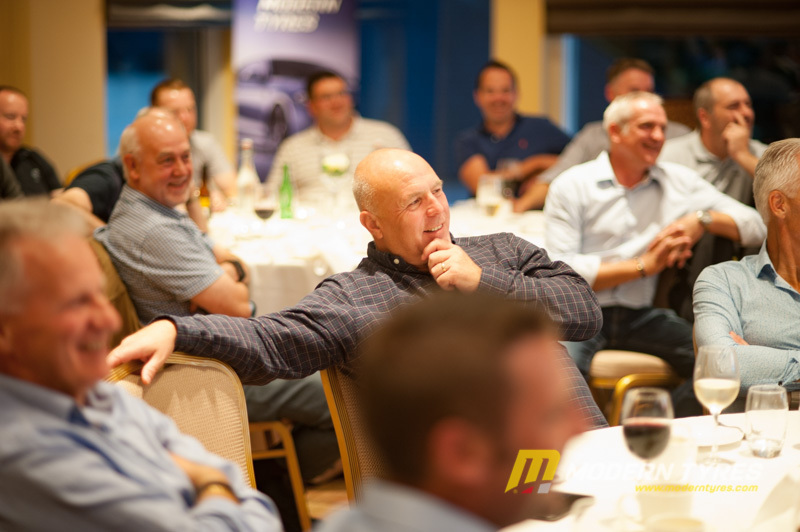 The night went on as scheduled, and the fundraising for the Make A Wish Foundation went ahead to the tune of £5000 raised by the players from the day.